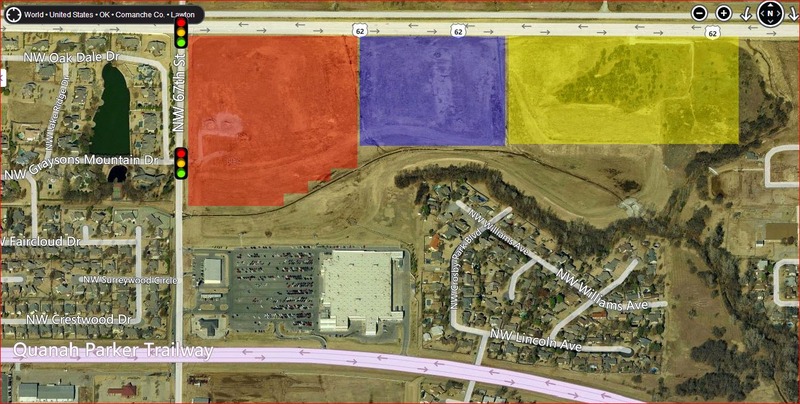 The tracts were among four commercial and highdensity residential (suitable for apartment complexes) properties that the council designated for sale on the south side of Rogers Lane, between Northwest 67th Street and a housing addition to the east. Anthony Properties had asked to buy the two western-most tracts and plans to use an 8.35 acre lot on the eastern side of those two tracts for a movie theater complex. “Lawton deserves a quality movie theater,” he said, noting the complex will offer state-of-the-art movie experiences. Commissioners, who have the final word on Use Permitted on Review requests (UPORs do not require council action unless an appeal is filed), said while they like the idea, they were concerned about potential problems when traffic in the area greatly increases because of the new entertainment complex. That’s the reason commissioner John Pereira voted against the motion; he had offered a motion to include traffic upgrades as a requirement. “I can see an absolute traffic nightmare,” Pereira said, explaining that if city officials don’t take action now, traffic will spiral out of control when the complex opens. Among the details of the land sale is a requirement that the developer conduct a traffic study, a count of vehicles using the area, and the developer would be required to install a traffic signal light at an access road parallel to Grayson’s Mountain Drive, should that vehicle count warrant it. City officials said Rogers Lane, which is also designated as U.S. 62, is a limited access road where new access points must be approved by the Oklahoma Department of Transportation, which is why the city requires the developer to have access via Northwest 67th Street unless he can make use of existing access points. Anthony’s site plan includes an access road that lines up with Grayson’s Mountain Drive, traveling east and northeast along the rear of the lots to give access to the theater on its internal lot. Commissioners said traffic flow in the area already is heavy at rush hour and they fear additional traffic from the development will put even more drivers on Northwest 67th Street turning onto Rogers Lane (now an intersection controlled with stop signs). Pereira and others said that’s why signal lights should be installed at Grayson’s Mountain Drive (the developer’s obligation) and at the Rogers Lane/Northwest 67th Street intersection (something the city would finance). Anthony said city officials made their concerns clear as the land sale was being discussed in the council’s executive session, which is why his firm agreed to conduct the traffic count. He also said movie theaters, which stagger their start times, typically generate traffic at “off-peak” times, with the largest amount of traffic on Friday and Saturday nights. Anthony said installation of a traffic signal light or a right turn lane on Northwest 67th Street would depend on what the traffic count reveals about traffic patterns. There were other concerns about the development. City Planning Commission Chair Pat Henry, who lives in the Grayson Mountain Estates addition, said she doesn’t think the post’s noise will be a major issue, noting those who live with the noise quickly get used to it. “This is a great opportunity for Lawton for additional amusement,” she said. Commissioners also were concerned about other potential uses for the site, should the movie theater complex not materialize. Senior Planner Deborah Dollarhite said the tract in question already holds a C-1 Local Commercial District zoning classification, so any permitted use listed under C-1 zoning is allowed there without city permission. A movie theater, a more intense use, is a Use Permitted on Review, meaning the planning commission must first review plans and consent to that use. Dollarhite said the UPOR is specific to this movie theater; another UPOR use would have to be presented to the planning commission for approval.